2.1 What are the Types of Two-Way Radios? 2.2 What are the Factors to Consider When Choosing the Best Two-Way Radios? The best two-way radios can also be referred to as a walkie-talkie especially when the radios are handheld. A walkie-talkie is a type of radio and is used for communication while you are walking around a specific area, hence, the name. A radio can be referred to as a walkie-talkie as long as it is handheld to serve the same function of communicating while walking around. However, a radio is not always a walkie-talkie because there are different types of radios that are not necessarily handheld. That being said, this article will focus on handheld two-way radios also known as walkie-talkies. There are a lot of these products available today mostly because of their flexibility and portability for users. If you are shopping for the best two-way walkie-talkie, here are the best choices for you. The Midland Radio Corporation is known to be the industry’s leader when it comes to manufacturing the best two-way radios. Midland built a reputation to produce high-quality products that are made to withstand damages sustained through everyday use. One of Midland’s first products was CB radios, and they came a long way and produced innovative and newer products for communication including the Midland GXT1000VP4. The Midland GXT1000VP4 has up to 50 channels designed to offer crisp, clear communication along with its easy-access buttons. It also gives you a longer range of communication of up to 36 miles especially in flatlands. If you are using your radio for professional purposes, this radio has over 5560 channels to choose from enabling you to block certain unnecessary conversations. This means you don’t have to put up with children playing with radios. This product automatically gives you location-based weather alerts if you want to be updated with the weather condition in your area. In times of emergency, this radio also lets you send out distress signals and locators so people can find and help you. You don’t have to worry about your radio getting wet during rainy seasons because of its JIS4 waterproof rating. There are so much more features to discover with the Midland GXT1000VP4, and it is surely worth your money. If you need more battery life for your best two-way radios, the BaoFeng BF-F8HP is the one for you. It is a portable dual-band radio that is known to be the next generation of UV-5R because of its better power transmission and newer generation chipset. 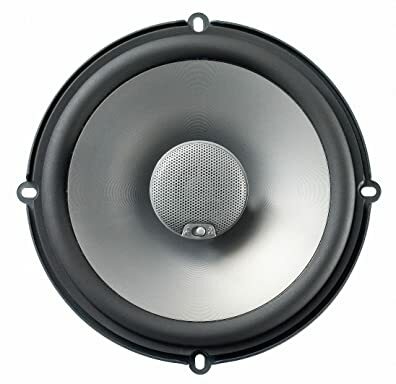 The BF-F8HP goes beyond the standard three power levels (maximum of 8 watts). It also comes with a 20000 mAh battery to make sure it stays up longer and a high-gain antenna to get all the signals that you need. To be specific, the BaoFeng BF-F8HP’s battery life can last up to 24 hours depending on the power level that you are using. You even have the option of using its flashlight and FM radio features without draining the battery too fast. This model was built with the latest firmware (N5R-340A) that is not available in other older models so you can be sure that it has enhanced capabilities. For customization, you will find that this product is compatible to most of the older model’s accessories. 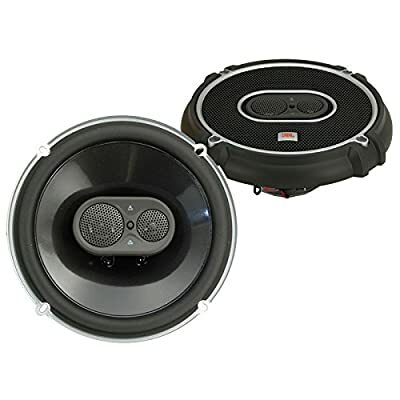 This product was made in the USA and is tested to be durable and high performing to take care of all your communication needs. It is also built to be user-friendly making it a great choice for beginners in radio communication. You will receive an in-depth user manual along with your purchase to give you all the information that you need to know about the product. If the manual is not enough, you can count on the concierge customer service and warranty support. For those who use their radio system during the night more often, this is one of the best two-way radios to buy because of its integrated LED torch to help you see in the dark. You can get up to 16 channels that can be customized to your preferences through a computer by using special software. It has a battery capacity of 1500mAh so you don’t have to worry about charging this radio all the time. The Retevis H-777 includes a PTT button that is soft and easy to use especially during cold weathers when your fingers go numb. This two-way radio has a scanning and monitoring function to ensure that you get all the information that you need wherever you are in the world. If you don’t like to be part of a general conversation, the 50 CTCSS/105 CDCSS feature allows you to drop irrelevant calls and exchange private messages with your colleague. If there is an emergency, you can count on the emergency alarm function to notify you so you can take the proper course or action. For those who are going to a place where there is limited power access, this radio is made with a power-saving function to make sure you have enough battery for important calls. The Retevis H-777 is recommended for all ages because it comes in a pack of three, is easy to use, and comes in an affordable price. Motorola has been a pioneer in the communication industry, and they are also known to manufacture some of the best two-way radios today. The Motorola MH230R did not disappoint with its high range of up to 23 miles that fits perfectly for outdoor activities. Be it camping, rock climbing, or hiking trips, you can rely on this high-performing radio to be able to communicate with your peers or get updated with the weather broadcasts in your location. This radio offers 22 channels as well as a 121 privacy codes to prevent interruptions in the middle of important conversations. If you want to have private conversations, you can use the Quiet Talk functionality to narrow down calls only from compatible products. This feature is incredibly useful especially when you are travelling in a group while using the same radio manufacturer or model. For your utmost convenience, your Motorola radio can be charged in four different ways. You can use a USB cable for when you are on the road, the desktop charger at home, the car cable inside your vehicle or use rechargeable battery packs for back up. The package also comes with belt clips, a dual drop-in charger, two battery packs, and an adapter. With its features and top of the line brand name, you will surely enjoy using this pair of two way radios. For users who need an extra long range, the Cobra CXR925 is one of the best two-way radios that you are looking for with its maximum range of 35 miles. It has all the perfect features including 22 channels, 142 privacy codes, and 10 NOAA weather channels for weather broadcasts and updates. The VibrAlert function is great for silent notifications, and the hands-free operation can prove to be useful when you cannot use your hands. Another key feature in the Cobra CXR925 is its “Rewind, Say Again” digital voice recorder that lets you play back 20 seconds of transmitted audio. This feature can be useful in many instances especially if you are talking about something important or if you are monitoring an emergency situation. 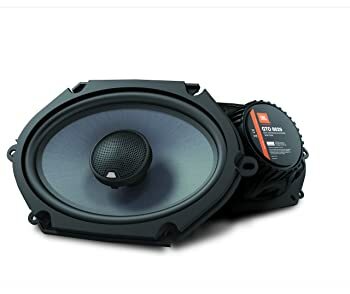 You can also take advantage of the backlit, LCD screen, single speaker, and 10-channel memory as added features that make up a highly recommended product. The radios come with rechargeable lithium-ion batteries that have high capacity for more battery life. The package includes a desktop charger and a wall adapter which is also able to charge another radio through its microphone jack. There isn’t a feature that you cannot find in this powerful handheld walkie-talkie made by Cobra, one of the leading handheld radio manufacturers in the world today. What are the Types of Two-Way Radios? Two-way radios are capable of receiving and transmitting signals for communications purposes. There are three types of two-way radios that you can choose from, and they have their own pros and cons. Here is the breakdown. Handheld Portable Two-way Radios — These are more commonly known as walkie-talkies that usually see people carrying around with them. They are smaller, portable, and mostly used for communication during outdoor activities. Car-mounted Mobile Radios — This type of a two-way radio is mounted on a vehicle and uses its battery to power it up. Although they are made with built-in antennas, car-mounted radios perform better with externally mounted antennas. Desktop Radios — This type uses a wall socket to power itself, and some models have their own antennas in them. However, you can still disconnect this built-in antenna to be replaced by an external antenna. In some cases, car-mounted radios can be converted as desktop radios with an added AC-to-DC converter. What are the Factors to Consider When Choosing the Best Two-Way Radios? Radio Power — One of the key factors to consider in the best two-way radios is the power output. The radio power is measured in watts and directly affects the distance that the radio can cover. Most handheld radios or walkie-talkies can broadcast up to 5 watts of power. The main idea is that the more radio power you have, the more distance it can cover. Note: Battery-powered walkie-talkies run out of battery quickly if you operate in higher wattage. Luckily, there are radios that can select the frequency between high and low to save battery power. Radio Range — The biggest contributor to have low range is the obstacles that you may have in the path of transmission. 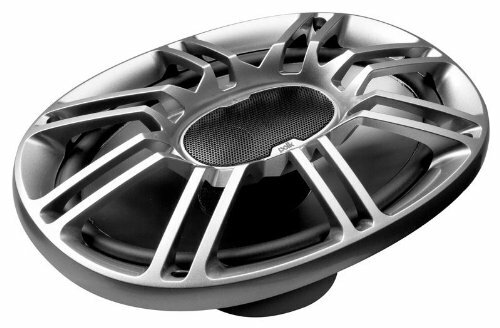 These absorb or reflect the radio signals and may reduce your range even if the product claims to have up to 35 miles of it. Remember that the best two-way radios communicate in line of sight so you need to be in a flatland or at the top of the mountain. Radio Antennas — Mobile two-way radios as well as desktop radios use an external antenna to get better range and reception. There are many types of CB antennas that you can choose from, and each has their pros and cons. Channel Usage — Two-way radios are built to handle multiple channels depending on the model that you have. The logic is that once you press the talk button and say something, everyone in the same channel will hear you. If you have multiple departments in an organization, you may use multiple channels for each department. Interference Eliminator or Privacy Codes — For example, instead of talking to your friend through Channel 5, you can use a combination of number and code, i.e., Channel 5 Code 6. This system can triple the number of channels that you can use with your radio. It can also minimize but not eliminate the unwanted people that are using the channel. Note: The privacy code was not meant to make your communication private. Call and Page Alerts — Calling tones come preset to most two-way radios, and it’s meant to get the attention of your group before you speak. Some models allow vibrating alerts over audible tones to keep their notifications discreet. Scanning — As the name suggests, this allows you to scan the channels so you can choose the one that your group is in. This feature is also useful to locate the empty or unused channel so your group can take over it. Keypad Lock — This feature lets you lock your settings so you don’t accidentally change them while you’re busy with your activities. This is helpful especially if you are using multiple channels and call settings. VOX or Voice Activated Feature — This feature allows your two-way radio to automatically broadcast your speech when you voice is directed to the radio. It is a great feature because it lets you talk to your group even if you don’t have any of your hands available. This is quite useful for mountain bikers, hikers, and other sports enthusiasts who need a hands-free radio or paging system. Noise Filter — It might seem like it’s a small thing to consider, but this is an important feature that lets you get more range. Noise filters give you clearer signals as well as enhanced range. Weather Radio Broadcasts — In the radio community, the weather channel is more commonly known as the National Oceanic and Atmospheric Administration (NOAA) and Specific Area Message Encoding (SAME). NOAA broadcasts national weather alerts, while SAME alerts are location-based ones. This is a very useful feature because it gives you an updated location-based weather forecast. Since most people use two-way radios for their outdoor activities, you can also take advantage of this feature to make sure that your trip is not going to be affected by bad weather. Hands-Free — If your two-way radio has a jack for headphones and microphone combos, this is great so you can also enjoy hands-free operation when needed. GPS — Although they are pricey, newer two-way radio models already have their own built-in GPS. This allows for your group to see your location by pinpointing your position in the map. It also lets you broadcast your location with the proper coordinates so your group can see it on their screen. In general, radio/GPS combo units are great help for those who are planning to go through a big land or forest. Two-way Radio Batteries — Most two-way radios need double or triple-A batteries and are made to function with disposable and rechargeable ones. However, some models come with a specific rechargeable battery packs to ensure compatibility and prevent damages. Overall, the rule is that a higher power output will drain your batteries faster. If you own a high-powered two-way radio, you need to check if you can switch to the low power mode. This usually acts as a battery-saving function so you don’t run out of batteries during important times. Using the best two-way radios can be helpful especially if you want to talk to a group of people. It is the easiest way to communicate with one another while staying updated on the weather forecasts and other important events in the area. Two-way radios provide you with the current events that are happening in your area. Two-way radios also allow you to monitor your vicinity for any emergency calls. The most popular type of two-way radios is the handheld type or more commonly known as walkie-talkies. This type of radio is portable, and you can take it with you wherever you go. This is why you need the best two-way radios if you love outdoor activities. 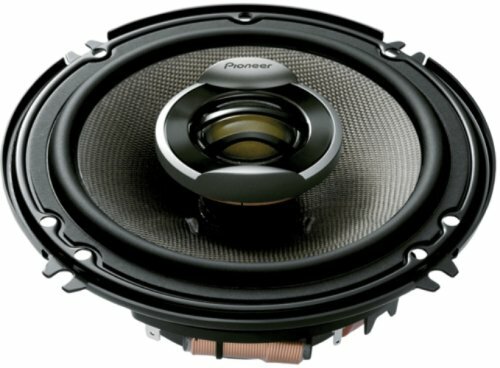 Check out other Car Speakers & Radio too! 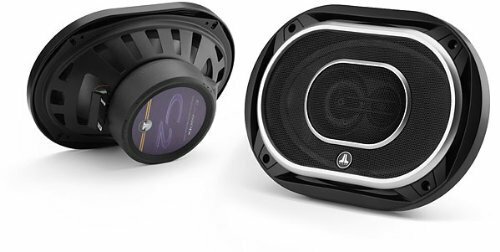 CarSpeakerCenter.com is a participant in the Amazon Services LLC Associates Program, an affiliate advertising program designed to provide a means for sites to earn advertising fees by advertising and linking to Amazon.com. Amazon, the Amazon logo, AmazonSupply, and the AmazonSupply logo are trademarks of Amazon.com, Inc. or its affiliates.